When it comes to haircare, I’ve become a little wiser lately as to what products I should be using to care and protect for my hair daily. I have fine hair, which has encountered not only years of bleaching, dying and surviving heat appliances, but also it spent a year under the scorching hot Australia rays, where I regularly suffered a sunburnt scalp and frazzled ends. Luckily my hair is naturally straight, but it’s the conditioning of it which needs taking care of, and knowing that my hair is getting the best nutrients and nourishment from a product range has become really important to me. 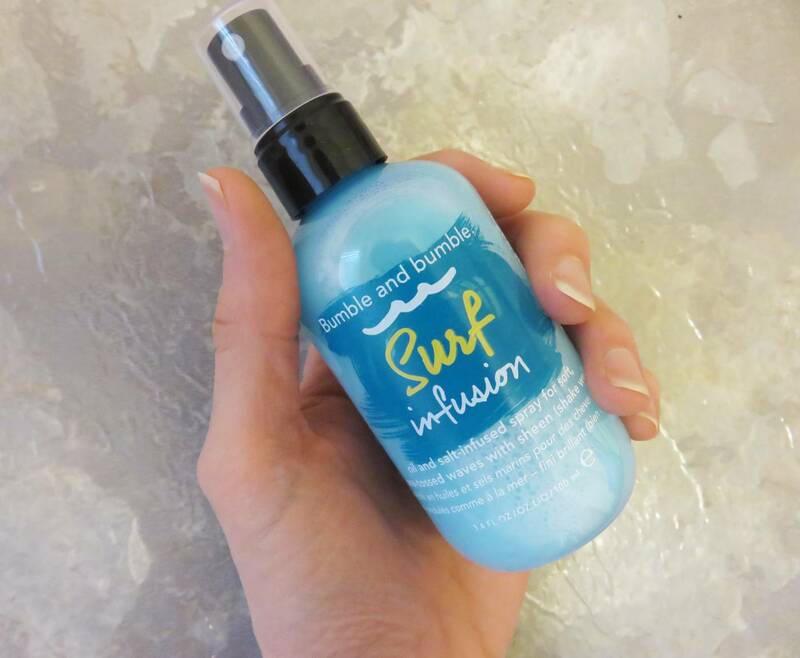 Surf Infusion Spray 100ml £22.00: A salt-in-oil innovation spray mixed with tropical oils and sea salts to create a textured spray, to form beach inspired waves. It smells delicious, just like being on holiday with a mix of suncream, sand and that fresh sea scent. It’s really simple to use, I just shake it up so the mixture that starts of separated blends together, and spritze onto my hair. I usually use this when I have slept with my hair in a bun and relase the messy waves in the morning, and find this spray revitalises them and gives them more shape and hold. I can image this would be incredible to use when loosely waving hair with a curling tongue, and then giving hair a scrunch with this spray. I also took this with me to Barcelona and had a little spritz when my hair was wet, and let the sun dry it. It really does help create those sea-inspired waves. A must have product for holidays and if you like to add a little bit of wave to your hair using as little heat product as possible. 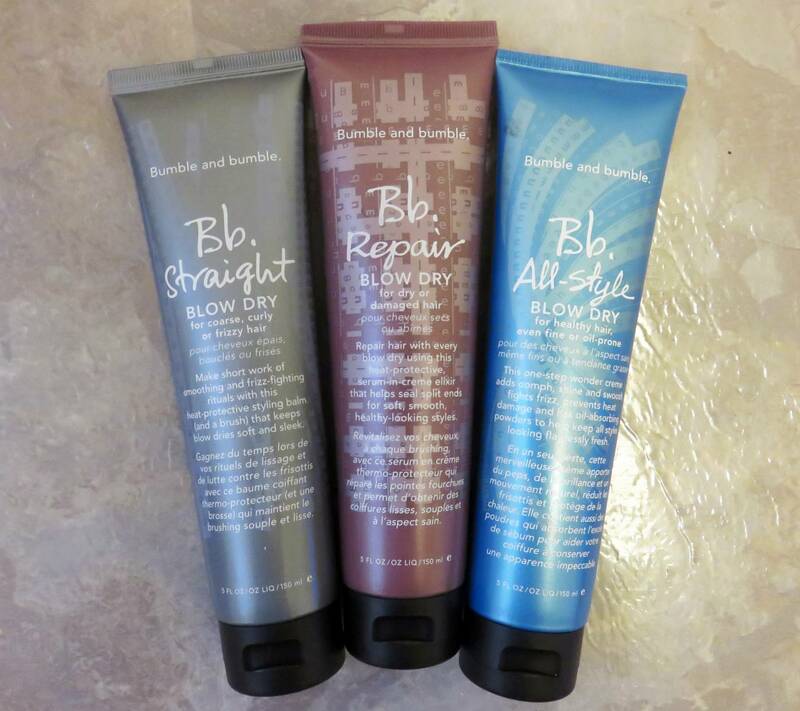 Blow Dry Balms: As my hair is fine, I try to use little product on my hair after conditioning. However, a cream which has both heat protection and smoothing properties is needed for me, and ideally a product that does both so I don’t have to pile on the product. Luckily, Bumble and bumble blow dry balms do this, and come in three different ranges for different hair types: Course and curly (straight blow dry), dry or damaged (repair blow dry), and healthy, fine and oil prone hair (all-style). Although my hair is dry, I use the all-style blow dry, as the texture is just right for fine hair. It’s a real lightweight cream and yet a little still goes a long way, which I apply onto damp hair before blow drying. It’s my new wonder cream which fights frizz, protects against heat damage, and has microfine oil-absorbing powders to extend the life of my blow dry – three uses in one! 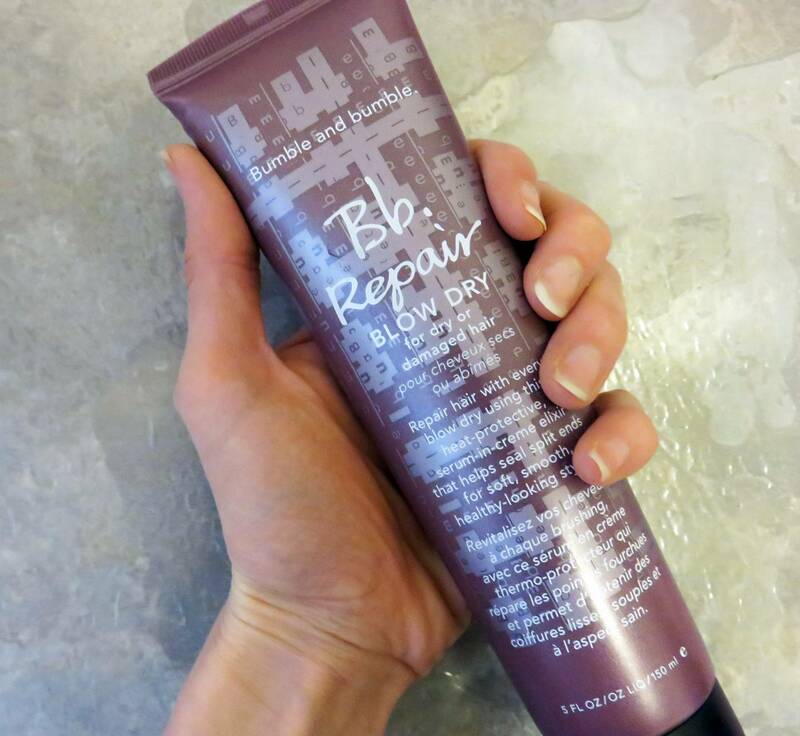 I would recommend the Repair Blow Dry and Straight Blow Dry for those with more hair styling and condition concerns. 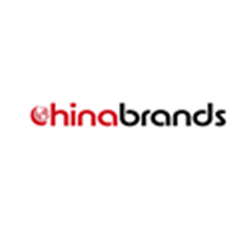 A large 150ml tube costs £23.00 so they are brilliant investment products. The final product range I have been giving a whirl is the Hairdresser’s Invisible Oil range, which funnily enough I see in the window of a premium salon every morning on my way to work, so I was honoured to be able to give these a go. 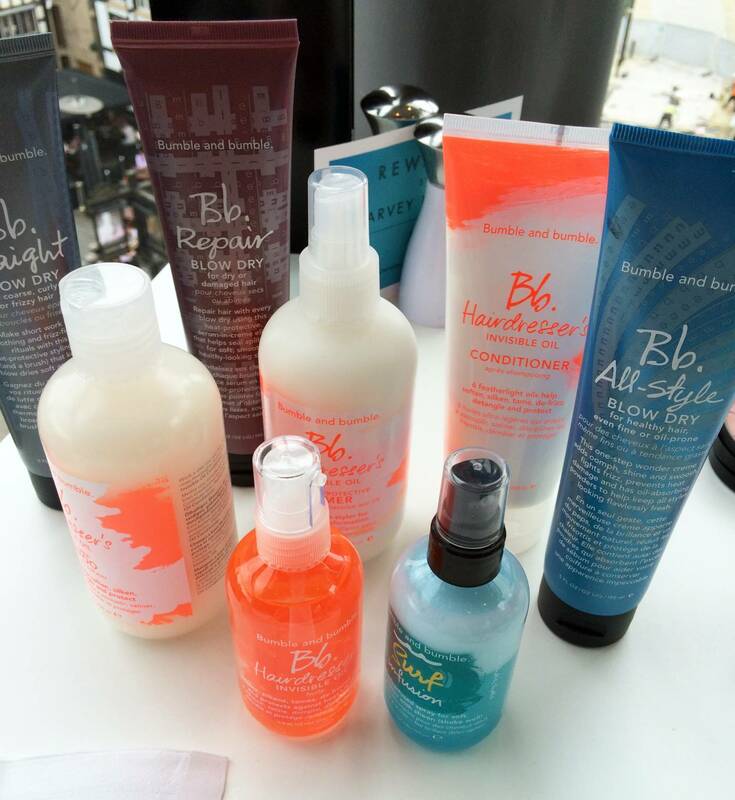 Lets just mention the packaging first – the neon orange and bright white bottles are super fun and look amazing in my new bathroom. 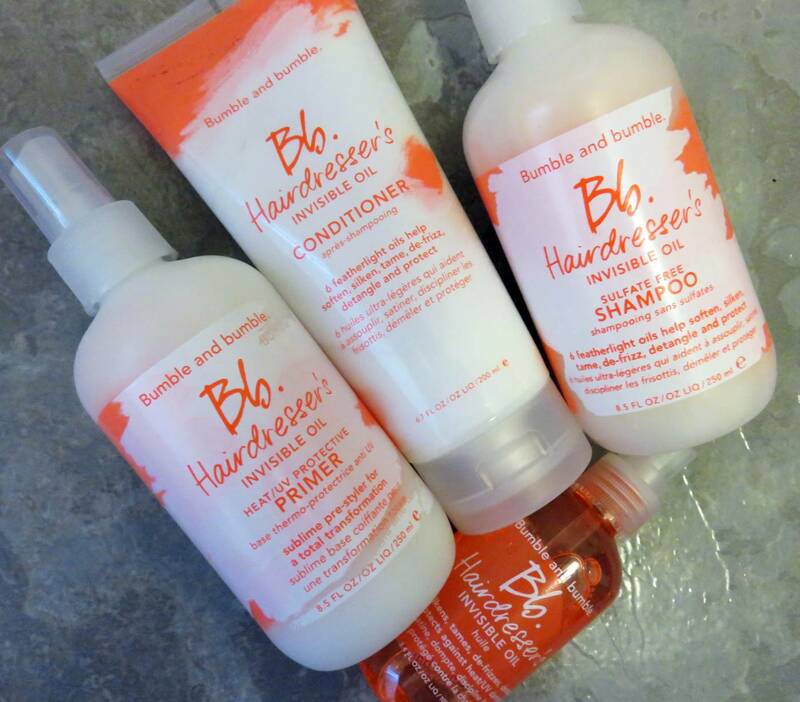 Lets be honest, us girls do like our haircare products to look great! Heat Protective Primer, 250ml for £20.00: Just like a skin primer yet for hair, you apply this before styling. It’s a protective barrier for heat styling, great for preventing breakage and heat damage, plus a fantastic addition to bring on holiday for holiday hair too. It’s a great detangler and smells incredible. I have never owned a hair primer product before, but so far I am enjoying spritzing this onto my hair before blow-drying and styling. Conditioner, 200ml for £25.00: This is a great product for those with dry or brittle hair, ideally colour treated or hard to manage hair. 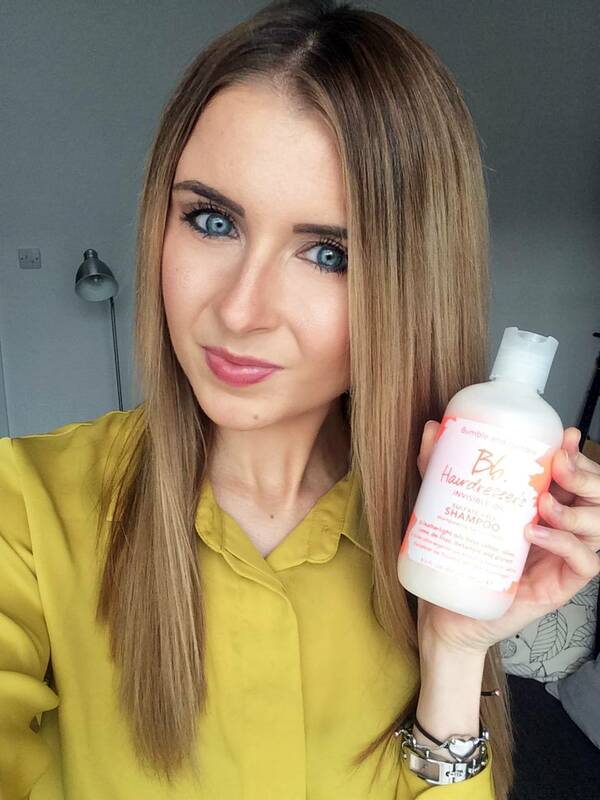 The conditioner really softens and relaxes hair, making dry ends feel smooth, soft and silky. I just leave this on for two minutes after shampooing and it transforms my hair to a frizz-free, shiny mane. Due to it having deep conditioning properties – or so I find with my hair type anyway – I try not to leave this on for much longer than two mibutes, but it could be left on longer for those with thicker, unruly hair as a weekly hair repair mask. Shampoo, 250ml for £23.00: I love how this shampoo lathers up to a rich and fragranced foam, making it a pleasure to use. Paired up with the conditioner, it’s a great shampoo for nourishing and conditioning my hair and well as delivering a thorough clean. Invisible Oil 100ml for £32,00: The ultimate product! I find this works like a serum but much less heavy. Ideal to use on damp hair before blow drying or air drying, it adds an insane amount of shine, really polishing up my hair. Fly-aways are smooth, hair looks and feels nourished and is super silky to touch. When I used all these products in conjunction with each other, I didn’t need to go over my hair with straighteners as my naturally staright hair had no frizz, flyaways or dry fluffy strands which I am prone to. I don;t use straighteners to create straight hair, just to tame and smooth, but luckily I think I have found a collection of products which can now do this for me.